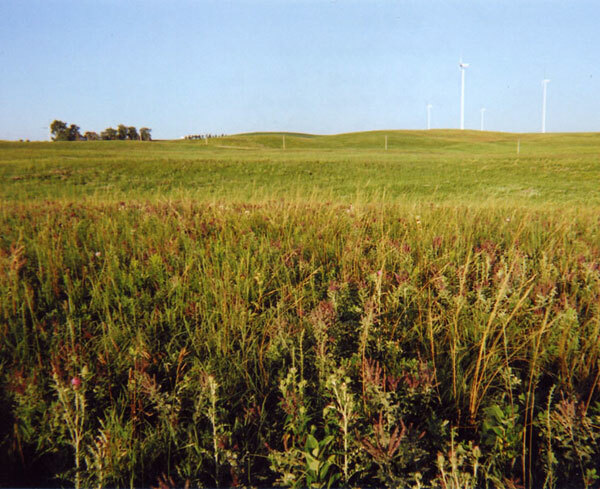 Prairie Biotic Research (PBR) formed in 2000 as a non-profit corporation devoted to basic field biological research in prairies and savannas. PBR enables researchers to write grants to other funding agencies and we administer our own Small Grants Program. Whereas many attempt to restore prairies, we aim to restore prairie natural history -- to keep the practice of natural history alive in our culture. We cultivate an ethic of thoughtful inquiry. PBR funds individuals with grants up to $1500 in our competitive annual Small Grants Program. 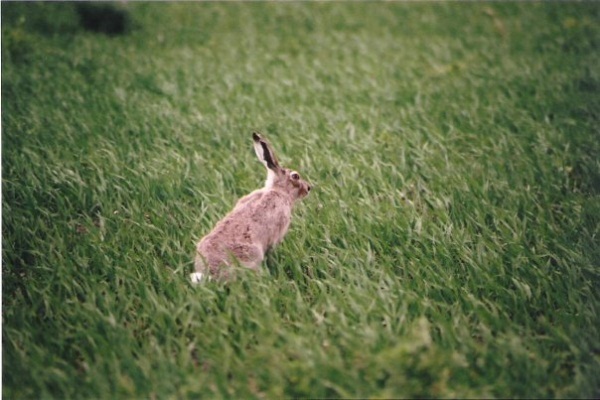 We support the study of any species in U.S. prairies and savannas with an emphasis on underfunded species research. Through our Third Party Grants Program, PBR enables independent researchers to write grants to other agencies under the aegis of this non-profit corporation, thereby opening up new sources of potential funding. 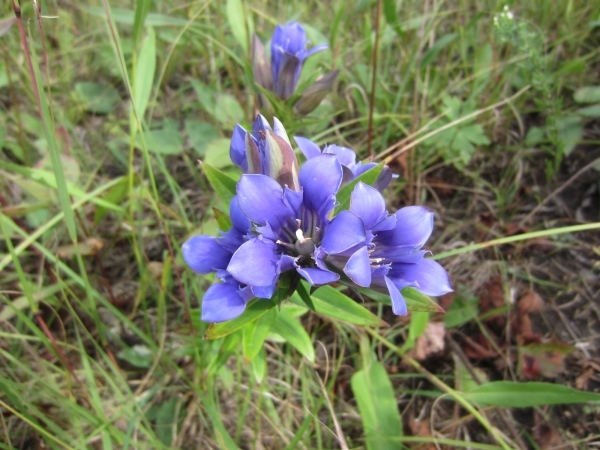 Prairie Biotic Research (PBR) formed in 2000 as a non-profit corporation devoted to basic field biological research in prairies and savannas. We cultivate an ethic of thoughtful inquiry. 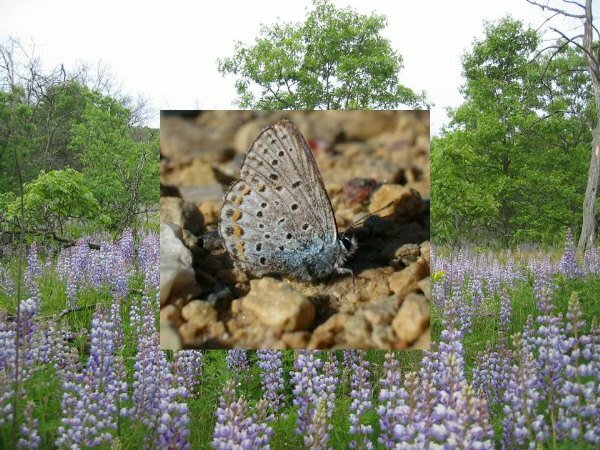 The purpose of our Photo Gallery is to allow visitors to our website to quickly learn about the research activities that Prairie Biotic Research helps to make possible. Notice, please, the variety of research sites, the varied topography of prairies. Most surviving prairies are on steep slopes, or on poor soils, or in places with limited rainfall, or so close to bedrock that tillage is impractical. A few survive as accidental reserves along railroad rights-of-way or in pioneer cemeteries. Many prairie remnants are very, very small. 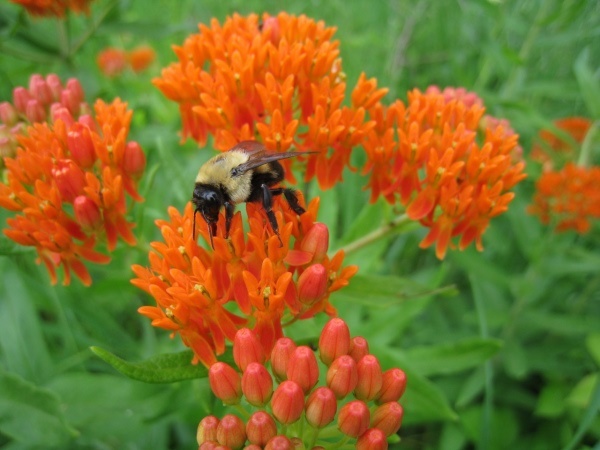 Prairie restorations come in all sizes, from small rooftop plantings to landscape scale projects. Every prairie is different and every site offers interesting research opportunities to the curious as well as great beauty, at different scales, to any observer who takes time to appreciate it. 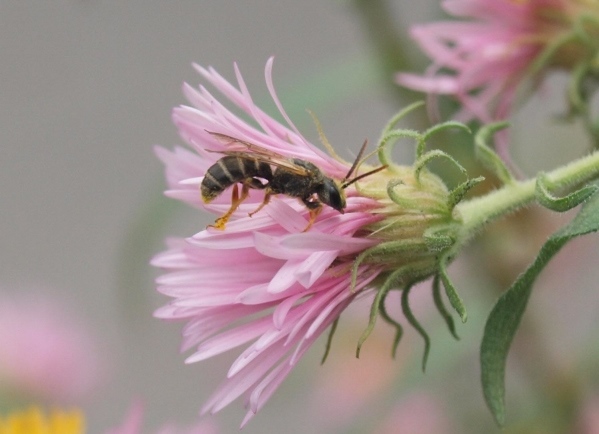 Notice the varied species that these researchers are studying, and the lengths they often must go to in order to answer rather basic questions. Notice the beauty of these living things! Notice that the frontiers of science are not all on Sumatra, or on Mars, but are quickly reached right here in the wild places remaining or being recreated. Often, all it takes is patient, focussed observation. 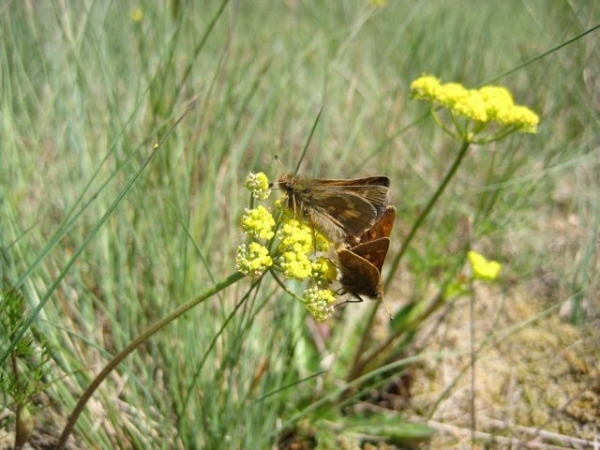 Discoveries new to science can be made right by the roadside, if only we would be more observant. Notice the researchers themselves: many are students, some are faculty, some are independent researchers. 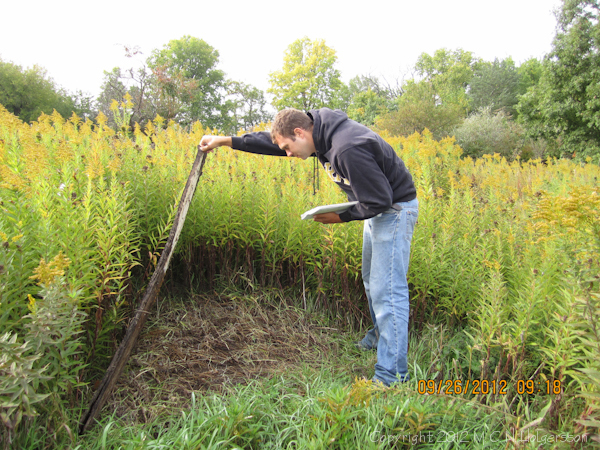 Often our small grant of $1,000 or less not only helps to support a researcher's work but also allows several assistants to get out into the field, which is a catalyst to learning and appreciation of nature for all involved. Notice that the researchers seem fully engaged and are enjoying what they are doing. For some of us, studying nature is essential to our happiness. This is not derivative entertainment provided by the media but genuine personal engagement with nature. 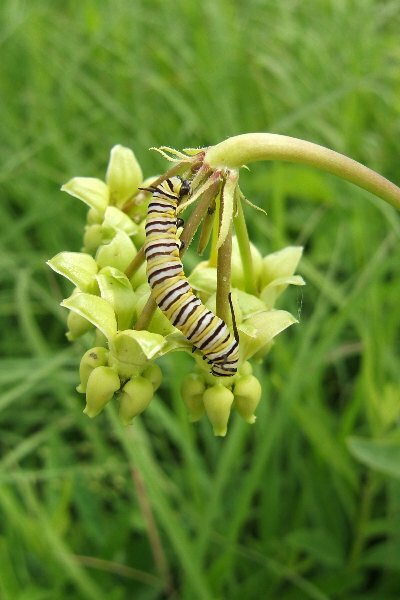 Prairie Biotic Research fosters curiosity! 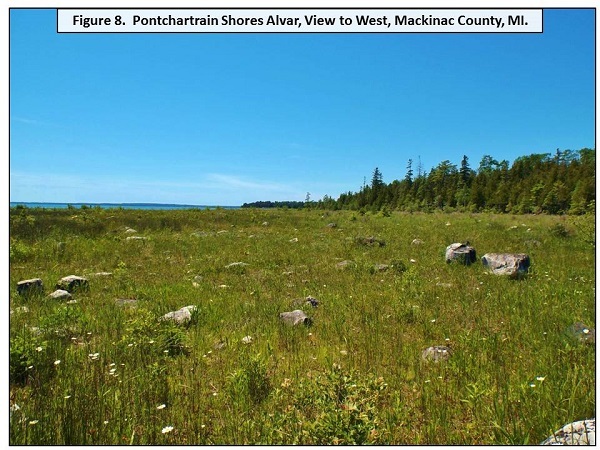 Pontchartrain Shores Alvar in Mackinac Co., MI. 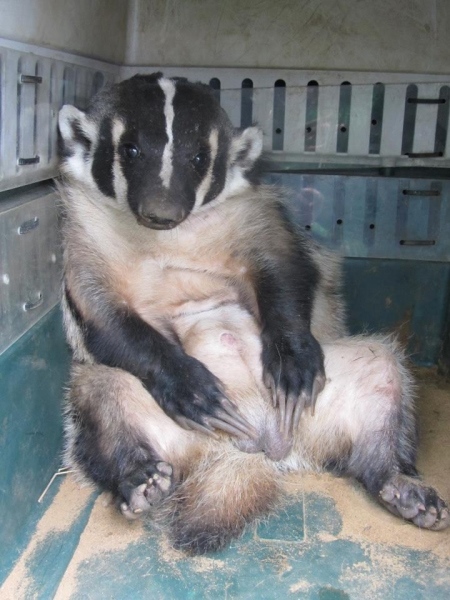 A Wisconsin badger contemplates the infinite while awaiting transport to the vet clinic. This is Salt Alkaline Lake in Kidder County, North Dakota. 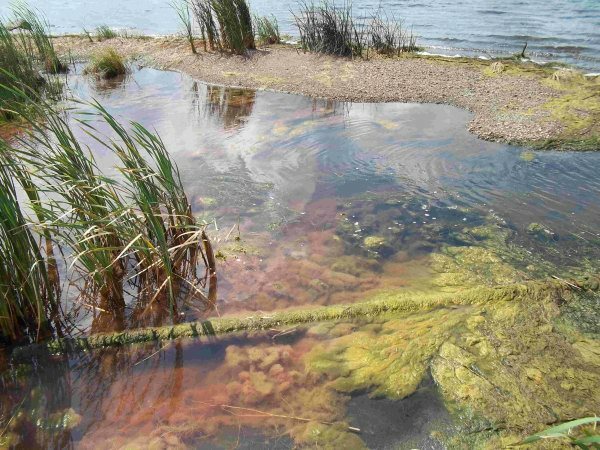 At times this lake is as salty as a coastal estuary, and it contains many algae similar to what are found in coastal habitats. This particular backwater area was especially productive during a late summer collecting trip. 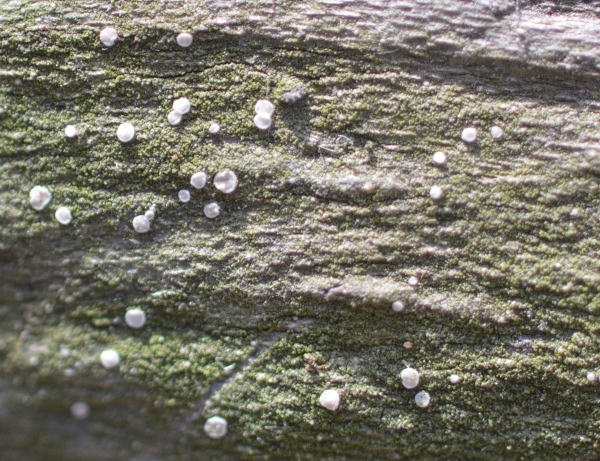 Absconditella lignicola is a rare crustose lichen collected in Monkey Mountain Conservation Area in Andrew Co., in northwestern Missouri. All common green darner nymphs died during the winter of 2017-2018. 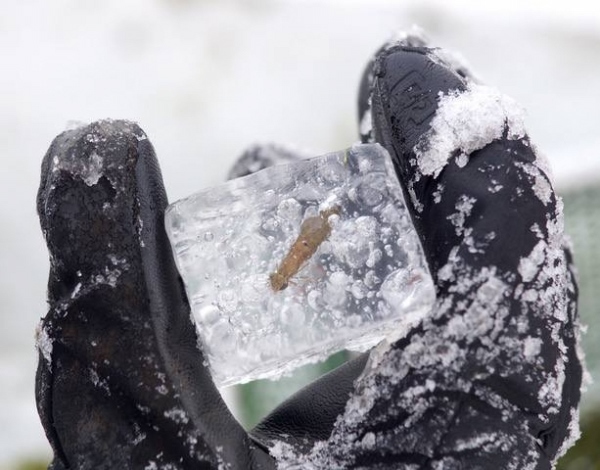 We found dead nymphs floating in the water and frozen in the ice. 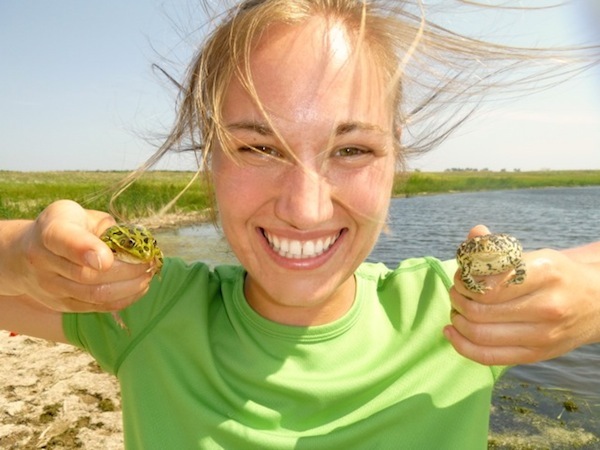 Researcher Charlotte Gabrielsen with northern leopard frog and Great Plains toad. 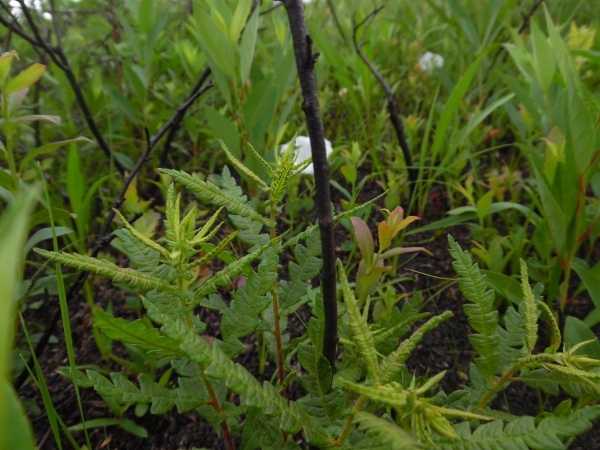 A typical association of plants of pine barrens at Moquah Barrens in northwestern Wisconsin: Comptonia peregrina, Vaccinium angustifolium, Calystegia spithamea and Prunus pumila. Illinois wetland home of yellow mud turtles (Kinosternon flavescens). 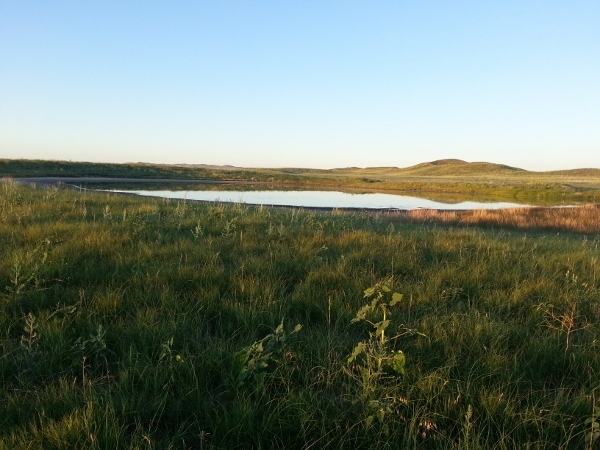 This pond is in grassland, and radio-tracking done by researcher Andrew Berger shows these turtles leave the wetland and travel up to several hundred yards in this grassland to aestivation sites. 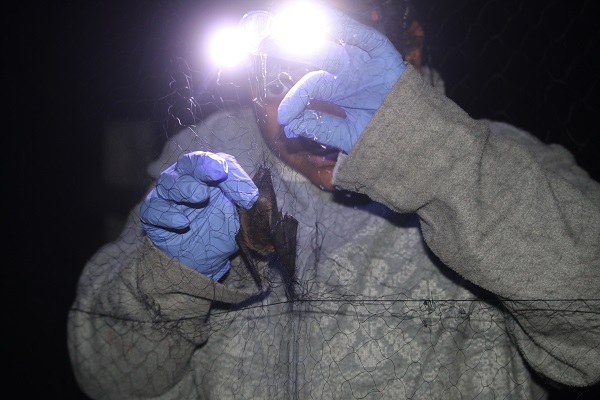 Research assistant Leandra Boodoo, a bat researcher working with Jewel Cave National Monument in South Dakota, extracts a bat from a mist net. These nets are the primary tool bat biologists use to capture bats. 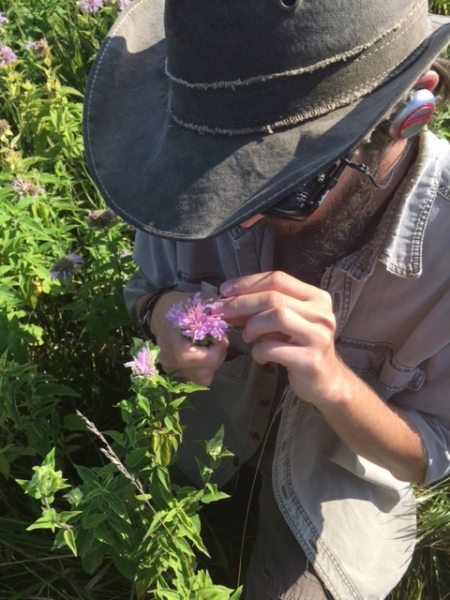 Researcher Neal Jankowski extracting nectar from flowers of Monarda fistulosa. 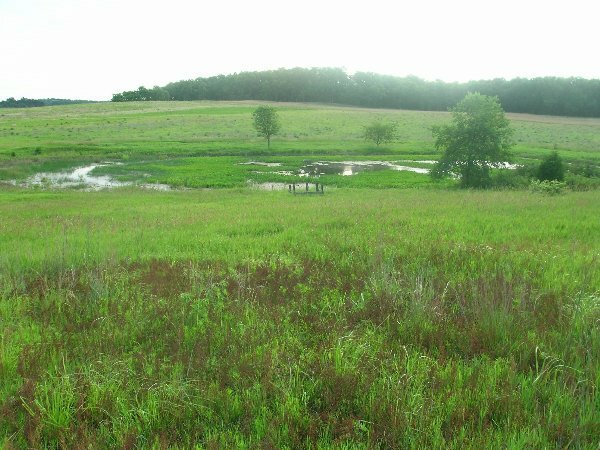 Tiny seedlings of the native Illinois prairie forbs and grasses were planted in a specific pattern in the green roof trays to mimic the natural coverage of shortgrass prairies. A yellow-faced halictid bee Halictus sp. on Aster in Ames, Iowa, in fall. 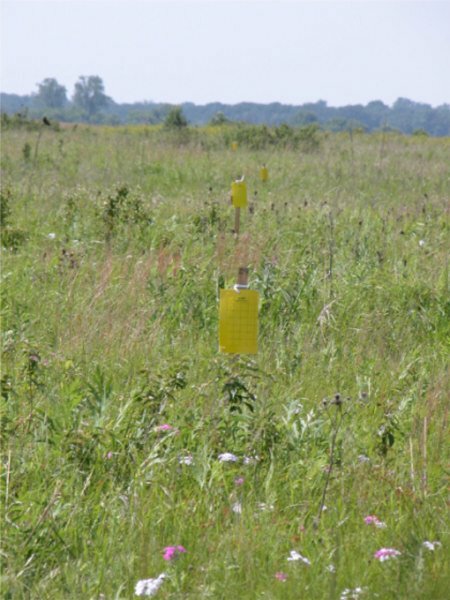 One survey technique used was yellow sticky card traps, here arrayed in a prairie planting near a soybean field. 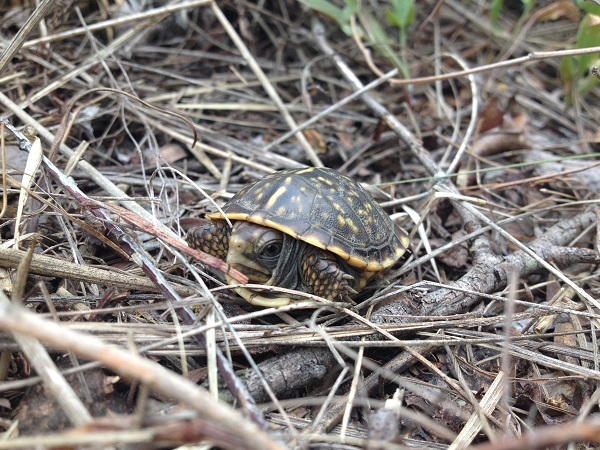 A hatchling ornate box turtle found at Thomson Sand Prairie, in Illinois. 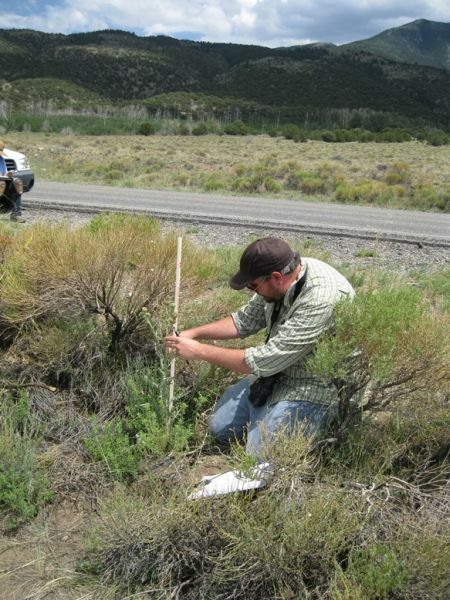 Rob McMinn taking measurements of Cirsium canescens in the San Luis Valley, Colorado. 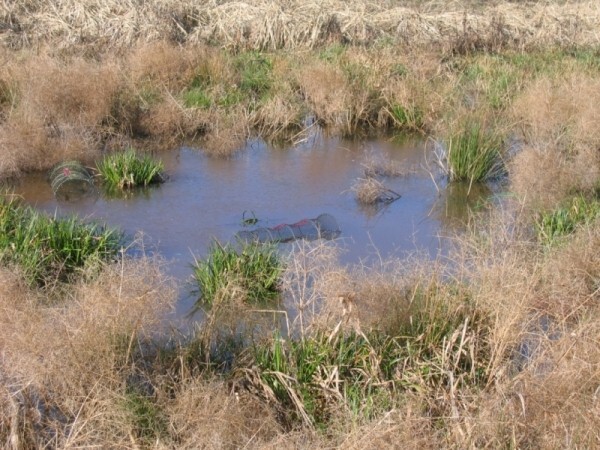 A sampled pond, with minnow traps set.